Priority Seat: Why Doesn’t It Make Sense to Some? I take exception to the disregard of notices which ask the commuter to be considerate from not putting feet on the seats to giving up priority seats when someone unable to stand enters a train carriage. Sometime ago on my ride to the office an elderly lady entered the train carriage I was in and had to struggle to support herself and find a seat in the middle of the carriage whilst the four ‘priority’ seats in the carriage were occupied by young-ish able bodied people. She took one step at a time and appeared rather gingerly. 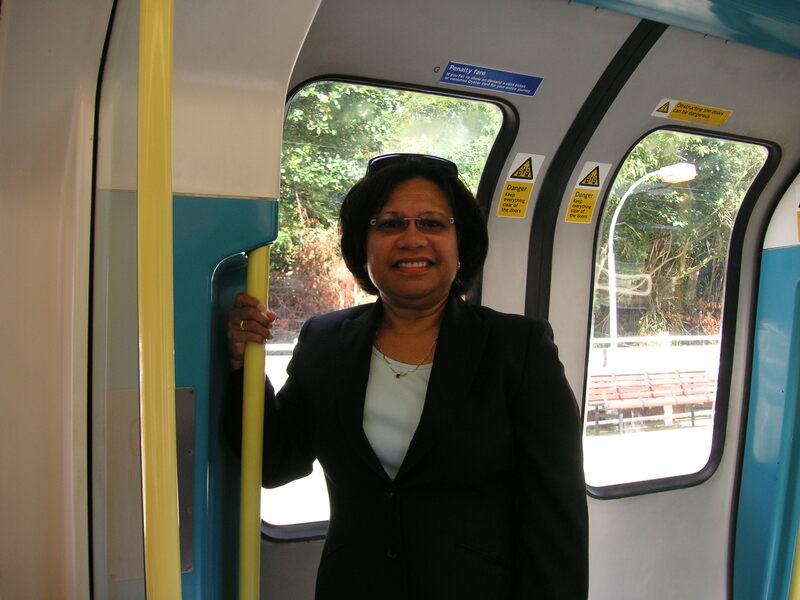 Her face showed distinct discomfort at having to brace herself on her walking stick on a moving train. These four people were sitting in the only four seats, in the carriage, designated as ‘priority seats’ – only four seats c’mon! Only four seats and they could not even allow one of the eligible passengers fitting the description on the notice to occupy one of those four seats designated in the carriage! 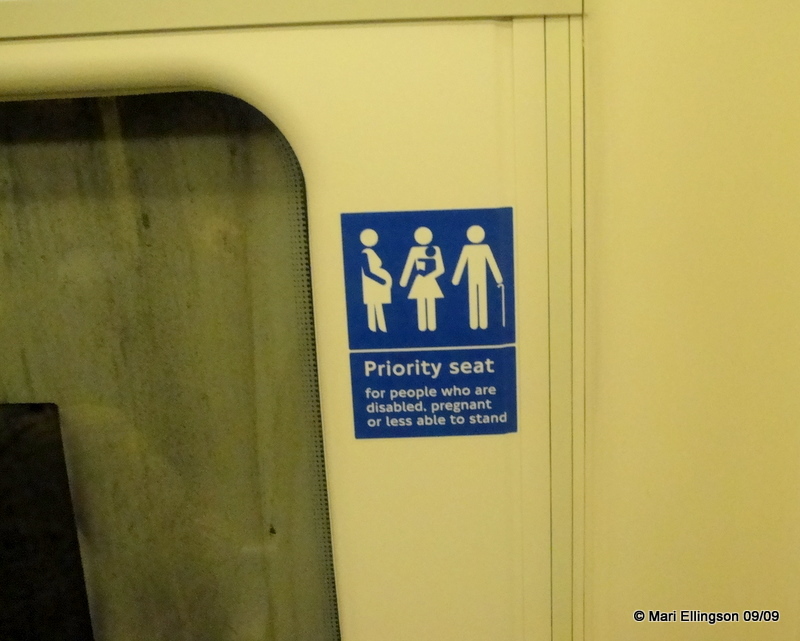 Neither of the people seated in the ‘priority seat’ were disabled, pregnant, elderly or carrying a baby. I was really amazed at how brazen these commuters were in their total disregard for a sign that clearly says ‘priority seat’ and also specifies who could sit on these seats. One was texting away on her blackberry and had absolutely forgotten about the specially designated seat she occupied. The guy opposite her clutched his knapsack and sat there gazing into nothing , also forgot the designated seating he occupied. The fellow sat at the other end had his earphones blasting music that could wake the dead! He was oblivious to the other commuters – I sat 5 seats away from him but could hear the annoying music! He too occupied a ‘priority seat’ and the woman sat opposite him was no lady in my book! as she read in total oblivion to the fact that she sat in a designated seat meant for those who are unable to stand on their two feet on a moving train. Who are these priority seats really for? I understand that these seats can be occupied by anyone at anytime until a person fitting the description given in the notice enters the carriage. Why did the four people not stand up when the elderly lady entered the carriage who was assisted by an elderly male who I presumed is her husband? She had a walking cane in one hand and struggled to grab hold of the metal support with her other hand as the train began to move away from that station. The knapsack-clutcher and the blackberry texter did nothing at all! I expected them to look up from whatever they were doing because the seats they occupied were free until someone who was unable to stand entered the carriage, such as the elderly lady. I was thinking that perhaps because there were extra seats available, the ‘gang of four’ did not think it necessary to immediately give up the designated seat they were sat in? Could that have been the reason? Is the notice too small to read or was the message not clear enough? Or is it that some commuters don’t have good manners or is it just plain selfishness and disrespect! Make the lettering on the notice bigger just like some of the ads displayed inside the train carriages. Print the notice also on the glass divider in bold colours such as orange or green – a colour that can stand out. Just as the commuter is cautioned verbally to ‘mind the gap’ so should a similar announcement be made to make communters aware of who is entitled to the ‘priority’ seats in each carriage. For this last one, each individual needs to show a caring side and most do but the four highligted commuters on this particular day were morons! Priority Seat: Why doesn’t it make sense to some! Have we become too individualistic that we can get away with irresponsibility as in this case. Me thinks it’s time to think again! Big lettering, a bolder colour, and a verbal annoucement is needed! Author islandmeriPosted on 30/09/2009 08/12/2009 Categories Tales of Commuting and the London UndergroundTags commuting, London transport, priority seat, tube2 Comments on Priority Seat: Why Doesn’t It Make Sense to Some? Commuting can be a pain but it also has its advantages. I’ve been commuting between Middlesex and London for almost a whole 12 months and I can say it does grow on you. The other day I was thinking, gosh I’ve been doing this through four seasons. The journey to London is about 30 mins and returning home is the same however, if the trains stop on the tracks because there is red signal or some sort of congestion at the next station ahead well you’ve got no choice but hope you have something useful to do – even taking a drink of water. That’s another thing during the Summer or any season it is advisable to carry a bottle of water with you – even if taking a drink, it needs to look meaningful especially if you don’t have a copy of your favourite newspaper or the Metro ( a free newspaper which you pick up at your home station) in the morning. 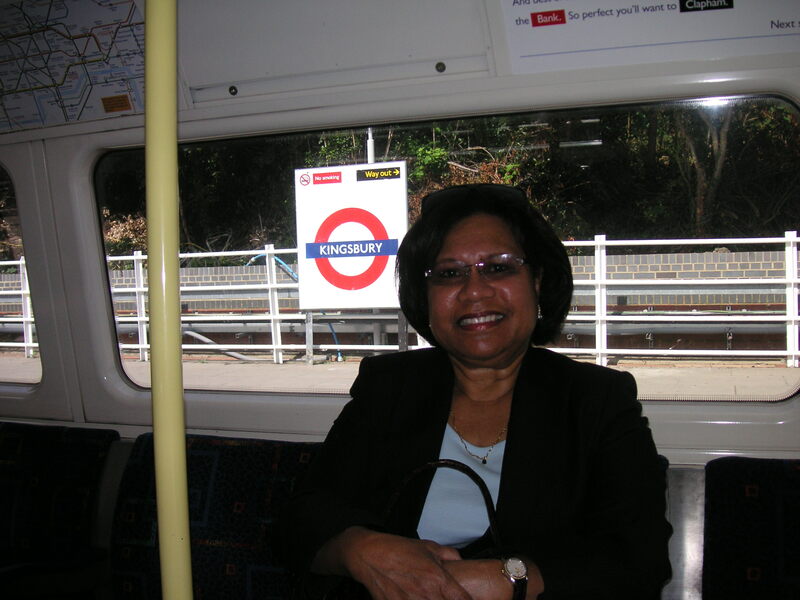 I’ve noticed that the carriages are very quiet if all the passengers are not workmates or family or friends – oh boy! that could be a very lonely hour of commuting. You may want to check that you curb your urge to smile at strangers. We do it n PNG all the time. But it may, you know, sapos yu meri na yu laik smail nabout, be inviting unnecessary interest as it happened to me when I first arrived in London and used to walk to work but that’s another story. It’s mostly quiet except for the odd loud music seeping through someone’s earphones that can be annoying especially if you don’t dig that kind of tune. I usually have my 4-year old iPod handy incase I have to briefly escape to Hawaii, PNG or the pop world. Another annoying thing is feet on the seats – aaaah but it is written on the windows no feet on the seats! Either the person(s) is too lazy, illiterate or can’t read English – the common and major lingua franca of Great Britain! There are some really nice unexpected wonderful experiences like someone letting you have a seat because you are a Woman! or they figure you’re greying around the temples and therefore entitled to the Priority Seats which are almost near the doors – nevermind about being old and suffering the draught! But anyway, I get to read someone’s paper because you can either ask for it or pick up as soon as they put it down next to you – by the way these are the free papers. Once in awhile I run into one of my workmates which is rather rare but it does happen. The journey to and from work allows me to get in touch with myself, if you can imagine that – reflection of the day ahead, the day just gone by and some heavy duty stuff I should be focusing my energies on at the office or some deadline to meet. It allows me time to catch up with myself and that is not a bad thing in this day and age when you are rushing around like a headless chick – en. Commuting for me is not too bad but some of my colleagues don’t like it when it’s crowded. Well I do too. But on my line the crowd thins out after the first 4 stops which are on the outskirts of Central London. I get to sit down – phew! But not so for some workmates who say when it’s standing room only they find their faces up someone’s armpit – and I try not to imagine that! Or pickpocketed – hey it happens. I was warned about pickpocketing (yes, here in London) last Friday night by a friend on our way to the tube station heading home that I must watch my knapsack and make sure it’s tightly closed. Good advice – why? because it happened to her and it’s a good habit to develop. I think she mentioned it 3 times, so, well coming from her I sat up and listened and made sure my knapsack was tightly closed. 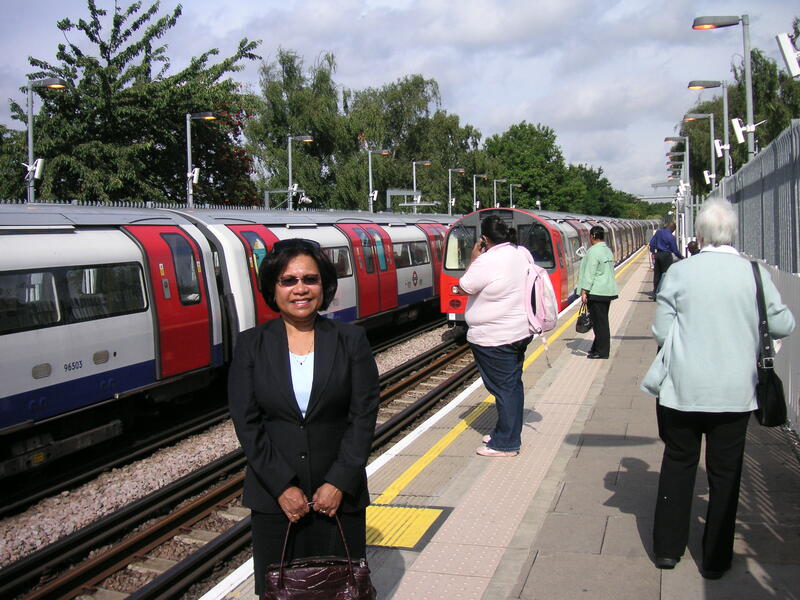 Don’t get me wrong – I had to adjust to riding on a train as opposed to walking to the office. Adjustment’s cool. No complaints there infact I am learning alot about life in London and the UK by getting on a train to and from the office and home. Commuting is a way of life when you have a job somewhere else and a home somewhere else. So the long and short of it is that it is a fact of life for the next 12 months. I also need to ensure that my Oyster card is topped up and ready for either the trains, tube or buses so I don’t have to find myself in a queue when I need to get to somewhere pronto. Commuting for me is an interesting, sometimes satisfying and enjoyable experience in a weird kind of way perhaps when I got used to not saying a word for 30 mins to work and 30 mins on my way home. I think anyone can write a movie script, put a business plan together or develop an idea for a major bestseller because you are thinking and not chatting to anyone. If one’s experiencing writer’s block or something similar perhaps one could consider commuting. It could be a great way to get those creative juices going.